"This group acting under the umbrella of PACT have begun the transformation of the Penrith streetscape and set a benchmark for the impact a community can have on its environment. The large aesthetic planters house not bedding plants but mini woodlands, with silver birch, shrubs and herbaceous perennials." "The community garden at Watson terrace shows real innovation with edible crops, herbs and fruit trees." 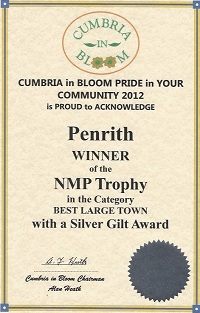 "At the conclusion of the tour of the town it was apparent that Penrith had really upped its game. 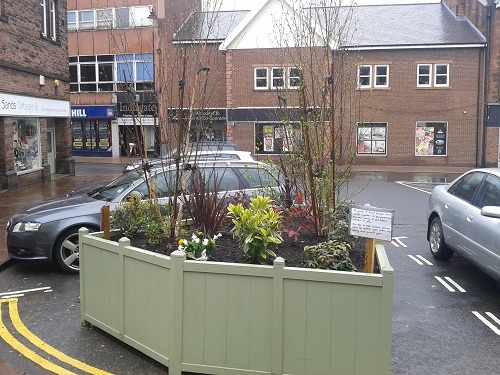 The Greening Group have vision and creativity and the quality and sustainability of the greenscaping of the town is creating a legacy of which the residents can be proud and an opportunity to be involved in an exciting project." "Tremendous progress has been made in a very short period of time in transforming the centre of Penrith." 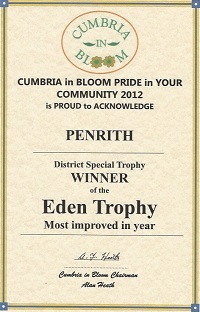 At the December 2010 Community Conference, organised by the VoP, many people listed their most important community challenge as the greening of Penrith. Place flower boxes at all of the town entrances to welcome people into the town. Extend the existing Penrith in Bloom initiative with a view to placing hanging baskets on all lamp posts in the centre of the town. Develop a style of planter which can be placed in key locations around town. The aim would be to get a high quality, consistent set of products which will add value to the town in the long term. These will be planted with trees, bushes and flowers. 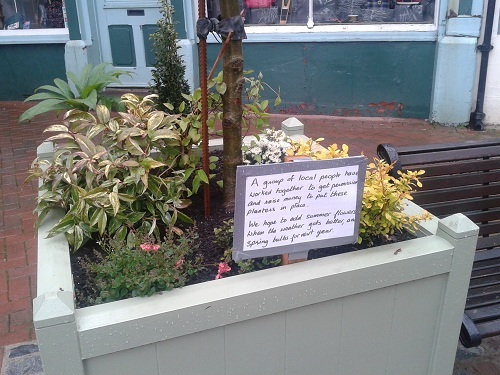 Encourage community groups to take responsibility for maintaining some key flower beds in the centre of town. To date (July 2012) over £20,000 has been raised to take forward this initiative. The Council has given just over £10,000 to kick start this initiative with the balance being raised from grant funders and local businesses. The planters, built by Richardsons and Sons, have been planted up by Larch Cottage Nurseries with a range of plants, details below which will provide all year interest. Local firms have recently been approach to seek sponsorship for the planters. 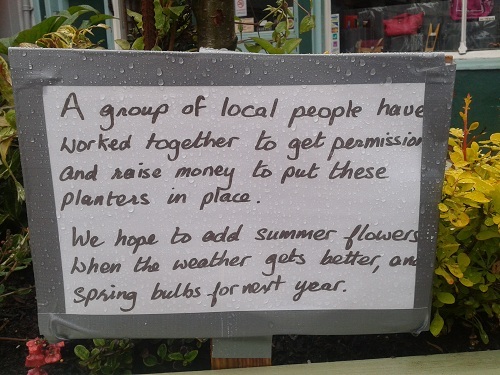 The very positive response has meant that all the planters are now sponsored and this funding allows PACT to insure the planters and under take on-going maintenance. It also allows the plants to be refreshed and bulbs planted for spring interest. It has been agreed that any surplus funds will be reinvested to take forward other parts of the vision as detailed below. A detailed budget showing income and expenditure is listed as an attachment at the bottom of the page.